Our St James’ Jaguars Cheerleaders practice with Mrs Collins and Mrs Snarr on Wednesday evenings, 3.30- 4.30pm. All children Years 4-6 are welcome to join in. We enter the Tameside Catholic Schools Sports Association’s Cheerleading Competitions and the Tameside Cheerfest, we have a selection of cheerleading trophies in our cabinet! This year we are the TCSSA Champions and came third in the Tameside Cheerleading! 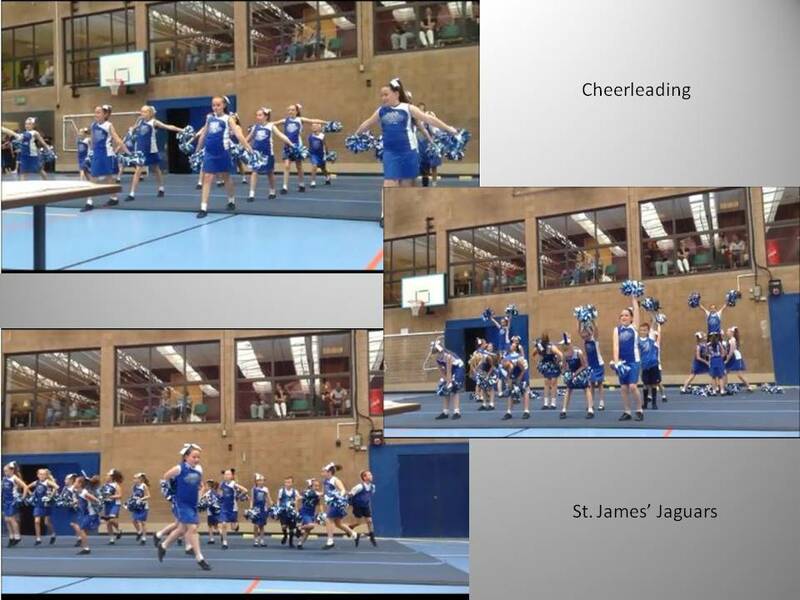 Well done Jaguars! If you enjoy Cheerleading you may wish to join Tameside Tycoons.